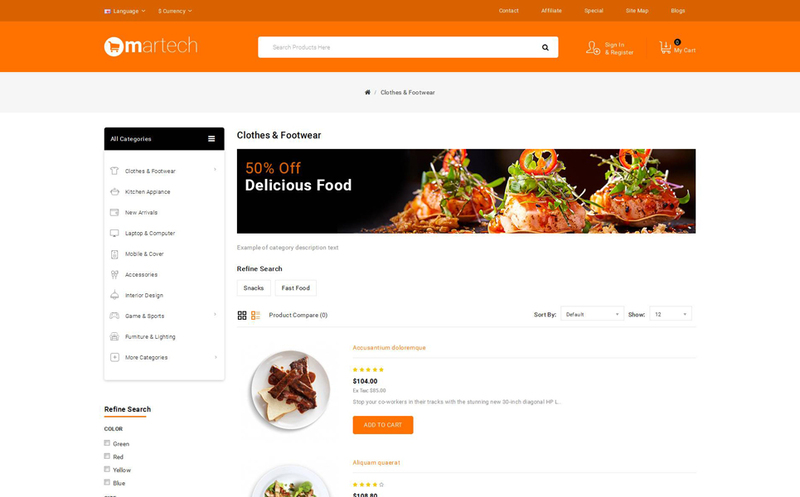 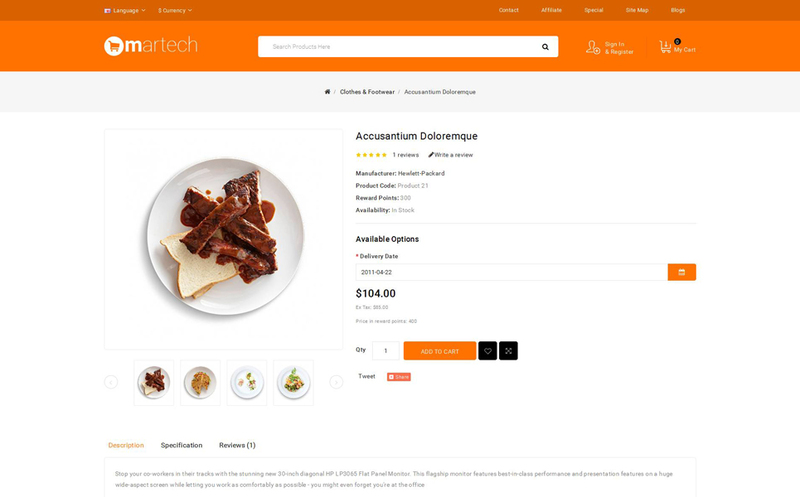 Martech Food Store Opencart Responsive template is designed for Food, Fruits, Organic, Wine, Pizza, Coffee, Bakery, Vegetables, Gusto, Dishes, Wine, Bar ,Minimal, and Multi purpose stores. 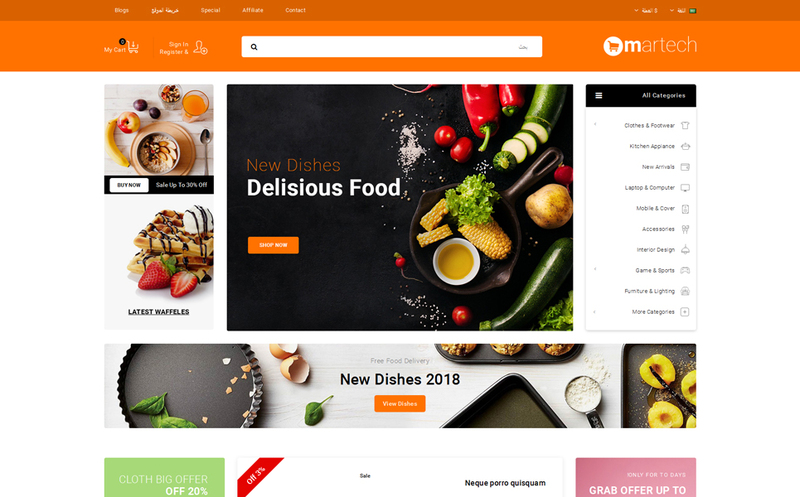 This theme looks good with it's clean design and awesome colors combination. 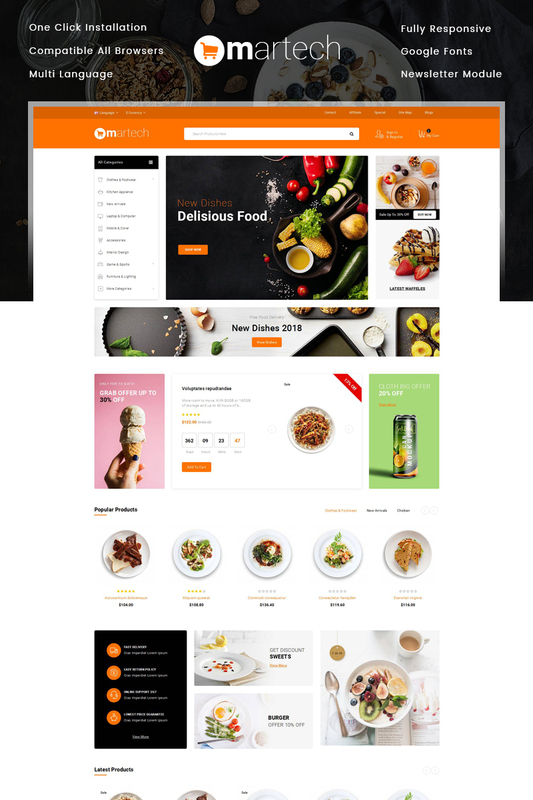 This template is 100% responsive with all devices and compatible with all browsers. This theme support multi language and currency. 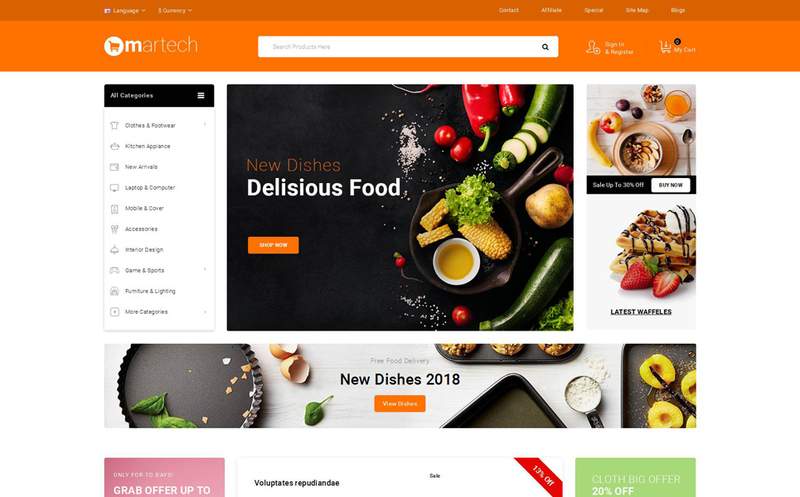 We provide quick start files with theme package to install our theme on your server easily with all demo data in just one click.